My in-laws are visiting us this summer which means we get to enjoy authentic Bengali food. Mother-in law is a good cook and am trying to pick up as many tips as possible. Yesterday we made Tilapia in Mustard Sauce or Sorshe Tilapia. 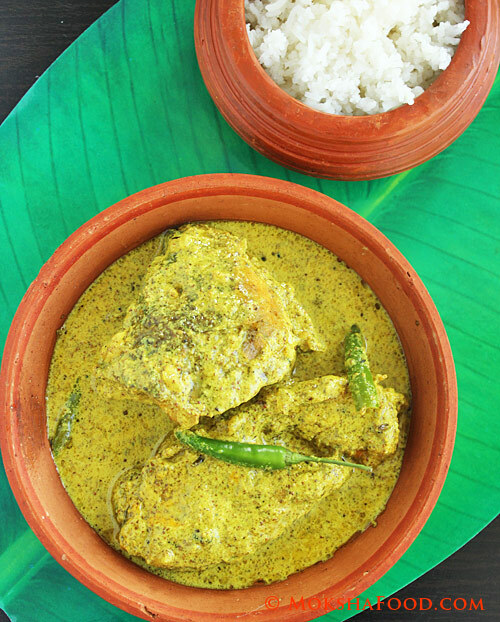 Sorshe is a Bengali recipe which uses ground mustard seeds as the main flavor and forms the sauce of the fish curry. 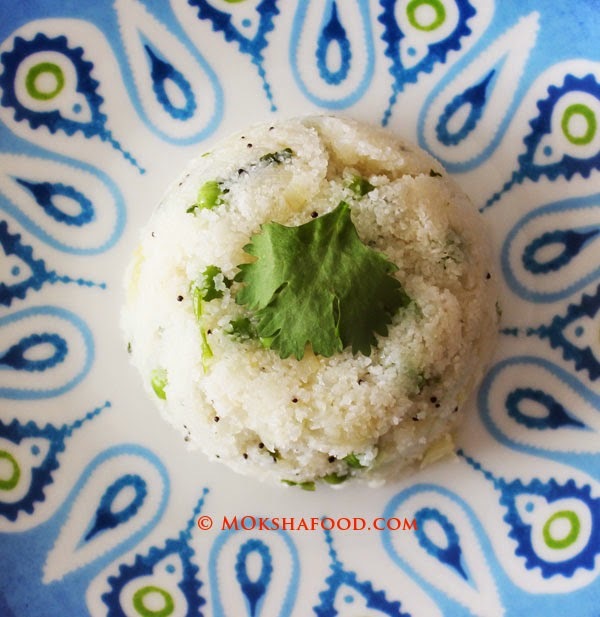 It is traditionally made with Hilsa/ Ilish fish. Hilsa fish is abundantly found in the Bay of Bengal and is a prized catch. 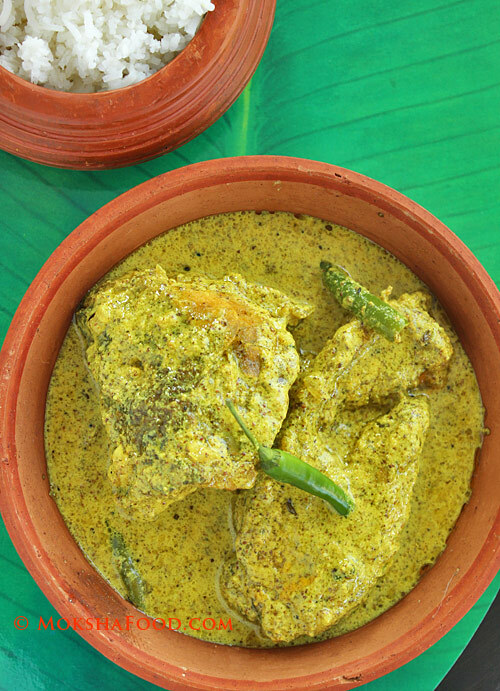 Eating Hilsa has become an integral part of Bengali Culture. Here we had to settle for Tilapia as Hilsa is not easily available. In Bengali recipes you are always required to deep fry fish/eggs/vegetables before adding them to any curry. They tend to use a lot of oil in their cooking with Mustard oil being the preferred choice. You can always pan fry for a healthier version. Here in Canada, I tend to use mustard oil only for flavoring. Our stomachs now adapted to eating milder foods cannot bear the pungency of mustard seeds alone. So we mixed in some coconut and poppy seeds in the ground paste to reduce the heat and add more flavor. Panch Phoran is a traditional Bengali spice mix made up of equal parts of cumin seeds, brown mustard seeds, fennel seeds, fenugreek seeds and Kalonji (black onion seeds). This is regularly used as whole spices or powdered spice mix to flavor meat, seafood or vegetable curries. 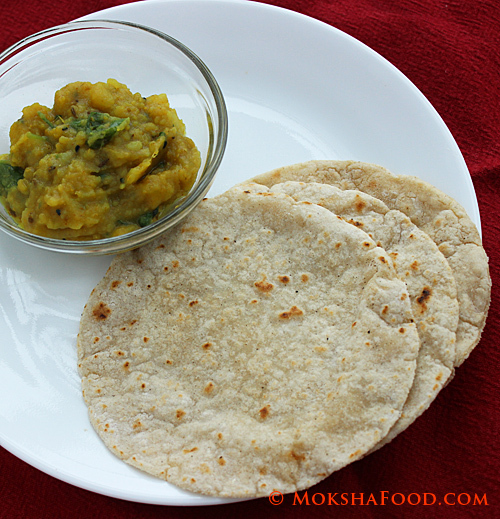 Traditionally onions are not used in Sorshe recipe but we have added a small amount to enhance the flavor. Soak the ingredients to grind in 1/4 cup of water for 10 minutes and grind to a smooth paste. Add more water if needed to help you grind. In a wok or kadhai, heat oil to medium high heat. Add the marinates pieces of fish 1 or 2 at a time and fry till golden brown. The fish is fried to get rid of unwanted fishy odor. Remove with a slotted spoon on an absorbent towel. You can pan fry the fish too for a healthier option. In a large saucepan, heat the mustard oil till smoking hot. 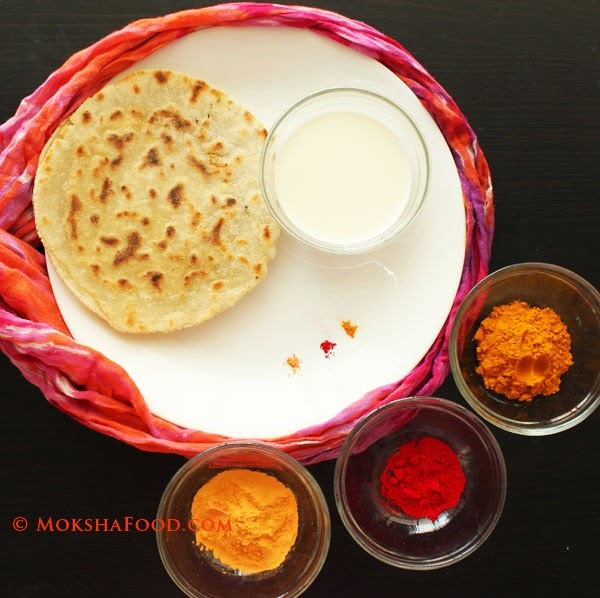 Reduce heat and temper with panch phoran or kalonji. Add the onions and saute till they are soft. Place all the fried pieces on fish in a single layer in the pan. Pour the ground spice mix, more turmeric powder and salt over the fish. Add some more water ( about 2 cups) to create desired amount of sauce. Cover and simmer the curry for about 10 minutes. Add the de-seeded green chilies towards the end of the cooking process. Serve Tilapia in mustard sauce/ Sorshe Tilapia hot with plain white rice. Apricot Chicken Curry Indian Style!